2006-03-19 - Dirigo, Adair CO, KY - Photo Linda Waggener. 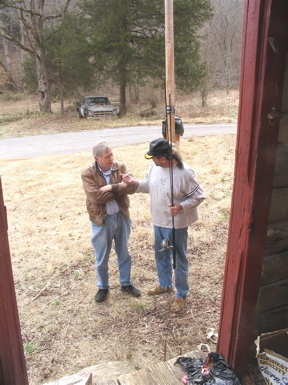 Cherokee, right, shares wartime stories with townie reporter. The adornment to the cap Cherokee is wearing is an actual fox tail, he said.